At each Premier Bride Expo an extra special twist is added to each show that brides and vendors enjoy…our shows are themed. Vendors are encouraged to decorate their booth according to each theme and the entrance ways and stages also reflect the show theme. Wedding themes are very popular. It is not just about colors anymore but brides and grooms are looking to set a mood that can be carried through from the invitations to ceremony to the reception and all of the special elements in between. As producers of the show we try to pick themes that are a direct reflection of what is trending in weddings and sometimes we choose a timeless classic. The wedding vendors that will be at the Premier Bride Expo in St. Augustine Florida are extremely talented. Brides, grooms, friends and families are in for a treat who attend this show. 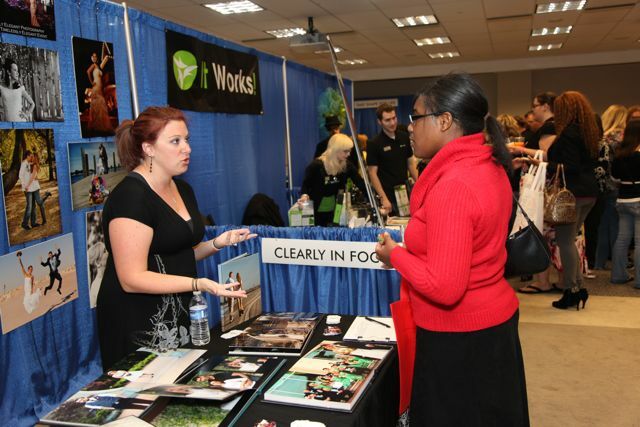 Over 130 booth spaces will fill the floor with the most talented, creative and professional wedding vendors in the area. A trip to the Jacksonville Zoo inspired this theme….they have a butterfly garden that people love to gather in and take in the wonder of this beautiful, colorful creatures. If the team at the Premier Wedding Expo was to plan a wedding with the theme of “Butterfly Garden” this is what the important elements of the wedding would look like! When creating a wedding inspiration board, it is important not to copy someone else’s work or ask a wedding vendor to mimic someone else’s ideas. Make your wedding unique and think of your own special touches! One of our favorite aspects of the Butterfly Garden Theme is the bright flowers. If you love color this theme is perfect for you! When selecting your flowers, make sure you select flowers that butterfly’s are drawn too. They make interesting choices in arrangements and bouquets and your guests will ohh and awe over them! Pinks, yellows, oranges and blueish purples are great choices. You can get really creative with the flowers. It is important in any wedding theme not to overdo it…which can be easily done. You don’t have to have a butterfly on everything…but if you “sprinkle “ them throughout the ceremony and reception it will tie everything together. We love having fake butterflies on the Allium Flower. Add a butterfly to the bridal parties hair or to the brides hair. It is sweet touch that will enhance the theme without being overbearing and it will add an element of interest to your pictures. We would choose short, soft purple bridesmaid dresses. The soft purple will go great with the bright and vibrant color flowers and is a complimentary color to green. Think of an element that your guest might not expect. Make origami butterflies for their place cards and make them find them on a tree or on green shrub bushes or have them sitting on flowers, displayed like a garden. The table décor should be low and people should be able to see across the table. We like the idea of long tables with bright colored flowers and lots of green. We would change the lights to lanterns…it seems more butterfly esk to us! For the cake, you could easily go with butterflies but we prefer the fresh flower look. Again, you don’t want to overdo it. Using flowers that you used in bridal bouquets or on the tables to incorporate the look! Here is our take on the wedding theme "Butterfly Garden"
The Palencia Club offers brides and grooms a country club feel with beautiful lake views. Marsh Creek Country Club offers brides and grooms a country club feel with beautiful views of the marsh and the intracoastal waterway. The White Room offers brides and grooms roof top views of historic St. Augustine in the heart of downtown St. Augustine. The Sawgrass Country Club offers brides and grooms two stunning options. One is on the golf course and the other wedding venue is oceanfront. The Ponte Vedra Inn and Club offers brides and grooms beautiful country club feel with views of their immaculate golf course. The Lodge and Club at the Ponte Vedra Resorts gives brides and groom close to indoor panoramic views of the ocean. The Hilton on the Historic Bayfront in St. Augustine gives brides and grooms great views of downtown St. Augustine while located in the heart of the historic district. St. Johns Golf and Country Club gives brides and grooms perfect golf course views and lake landscapes. The Colonial Quarter in St. Augustine gives brides and grooms one of the most unique wedding settings, located right off of the famous St. George street. The Serenata Beach Club gives brides and grooms ocean views in an elegant beach club location for a beach wedding scene. The Holiday Isle Ocean Front Resort is one of the only venues located oceanfront in St. Augustine Beach, complete with ballroom for the wedding reception. The Sawgrass Marriott Golf Resort & Spa offers brides and grooms several ceremony locations with grand ballrooms for the wedding reception. The King & Bear offers brides and grooms a wedding reception venue golf course views from famous golf course designers. The Slammer & Squire offers brides and grooms a reception venue located onsite at the World Golf Hall of Fame. The Milano Banquet Room is attached to the famous Amici’s Restaurant in St. Augustine Beach. They offer brides and grooms a great room with great Italian food. Marsh Landing Country Club has a stunning club house with golf course and marsh views. The Riverview Club in St. Augustine offers brides and grooms around 5,000 square feet of indoor space located on the intracoastal waterway. The Renaissance Resort at World Golf Village offers brides and grooms many different options for the ceremony and reception sites, including one of the largest ballrooms in North Florida. St. Augustine Visitors and Convention’s Center and the St. Augustine Wedding and Events Association are other great resources if you are planning your wedding in this historic city. Make sure you come to the Premeir Wedding Expo in St. Augustine to see many of these great wedding venues! We are one month away from the February 23rd show, here are some the amazing vendors that will be there; Caterer’s like Black Tie Catering & Events, Videographers like Siberian Pictures Video, Travel & Honeymoons like Frans Travel, Bridal Attire like Bridals & More, Photographers like Severine Photography, Florists like Anything with Plants and Flowers, Décor and Rentals like Destination Planning, Cakes and Sweets like Simply Delicious!, Reception Venues like The White Room, Wedding Planners like Weddings by Tina, Jewelry like Joel Bagnal Goldsmith, DJ’s like McGee Entertainment, Invitations from Kouture Kreations, Beauty from Jill Stonier Makeup Artist and SO much more! Brides will find everything they need to plan their wedding in St. Augustine, Jacksonville, Palm Coast, Orange Park or Amelia Island in one location. A new element to our shows is the live music and entertainment on a large stage. When you need to take a break from walking the floor, relax at a table and enjoy live bands. Where do brides get their special glow? Love is the answer, though the right makeup doesn’t hurt either! One of our best wedding tips is to hire a makeup artist for your wedding day. By having your makeup done professionally your photos will turn out that much better! Or another option is to take a lesson by a licensed cosmetologist. With Premier Bride Magazine, you are going to find plenty of beauty vendors that can be your MUA (makeup artist) or vendors that can sell you great products to use before, on and after your wedding day. It's natural to be nervous and excited on your wedding day. That's why it is so important to determine the look you want well in advance and to have a makeup rehearsal. Most makeup artists recommend at least one consultation prior to your wedding day, make sure you take the time to make the appointment. If you plan to do your own makeup, then take time to practice and perfect your special look. On your wedding day you will glow as on no other day. You won't need strong colors to look sophisticated, but you will need the right colors. If you elect to use the services of a professional MUA, they will select colors that will enhance your natural beauty and features. If you are creating your own look, experiment with delicately blended sheer browns, pinks, purples and golds. Many brides may also use enhancers such as extended lashes or liner to accentuate the eyes for photographs. When determining your wedding day make up, there are several factors to take into consideration. Do you want a dramatically trendy look, or something timelessly romantic? Is your wedding during the day or in the evening? If it’s during the summer, will you have a tan? Is your dress white or ivory? Consider whether you will wear your hair down or up and whether you will wear a hair ornament or headpiece. The color of your hair and the color of your skin are what make you unique - select makeup to accentuate your natural beauty. Many of our MUA’s at the bridal show will be doing light makeup applications during the expo! Take the opportunity to meet them and schedule a consultation! If you are planning on getting married in Jacksonville Florida, you are in luck when it comes to choosing a wedding venue….because you have hundreds of options. Maybe because Jacksonville is the largest city (land wise) in the USA, it gives you many options! Jacksonville offers many great wedding reception options. Anything you can imagine, you can probably find within the city limits. 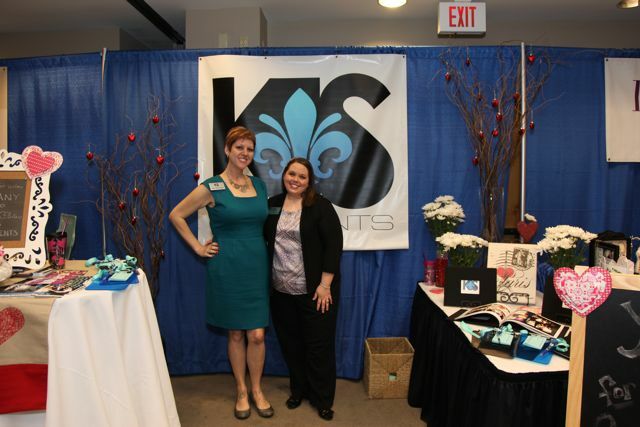 At each Premier Wedding Expo, many vendors from the surrounding areas also come to meet brides! You will have no problem finding your perfect reception venue! With Premier Bride you will meet a variety of wedding venues. These wedding venues are located in Jacksonville, St. Augustine, Palm Coast, Orange Park, Amelia Island and wedding venues in Savannah, Brunswick, St.Simons, Jekyll Island and the surrounding areas! We offer a wide variety of wedding venues in Florida, Georgia and Alabama. Our goal is to offer each bride a variety of wedding venues in locations, styles, catering options, amities, and price points. 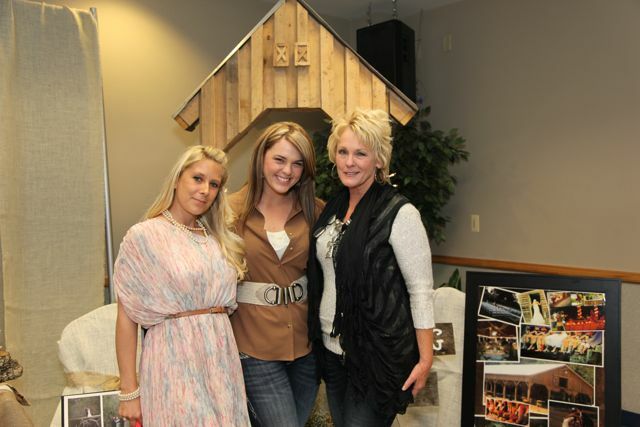 We have everything from barns to ballrooms and everything in between! While speaking with venue vendors at the wedding expos make sure you ask them these questions about the venue. This will help make a decision on the wedding venue that is right for you! • Book your wedding and reception site first. In order to book other vendors you have to have a date and a location. At the bridal show ask for a description and a list of services: caterers, waiters, bartenders and parking valets. 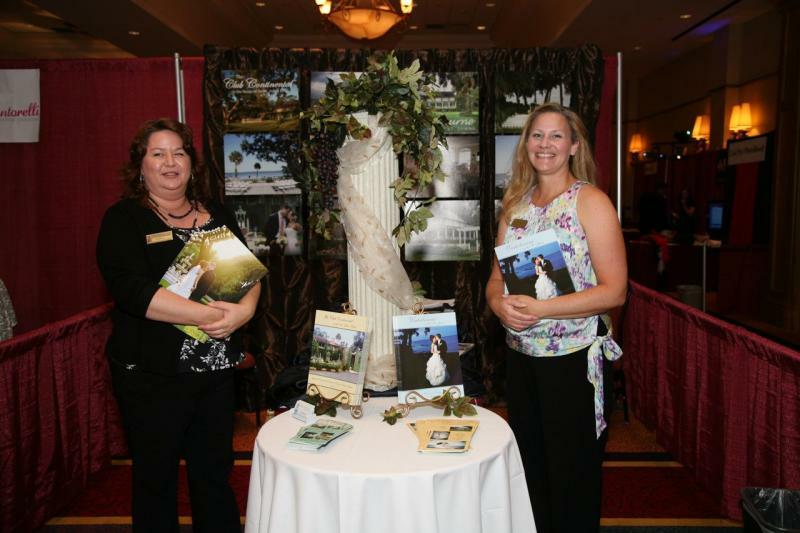 Make an appointment with the wedding venue at the bridal show if you like what you see! • Hotels, restaurants, private clubs and halls normally offer catering services, and may not allow you to use your own caterer, make sure you ask about their policy! • Make sure there is enough room for your guests, and electric voltage for your entertainment. • If you’re going to decorate, ask about restrictions. • Churches and temples may have policies regarding alcohol and other restrictions, find out what those are. Many churches also have strict photography policies – find out all the information you can before you book! • For a garden and outdoor weddings be sure you have enough room inside in case of bad weather. If you are planning a beach ceremony – make sure that you have a plan B for bad weather! Good luck at the show and we hope you find the perfect wedding venue for your wedding! Writing pens - a bride will keep a great pen forever! Spend a little extra for a great quality pen! One popular trends in weddings in 2014 is the theme wedding. For decades theme weddings have been popular, but now they are more popular than ever. This can be attributed to wedding tv shows, blogs and magazines that promote and publish extreme themes and elaborate decors. It’s true, there are as many themes for your wedding as there are days of the year, but what really matters is what is going to make your day the most memorable. The professional wedding vendors that you will meet at the bridal shows in Jacksonville and St. Augustine will help you make your wedding unique. One way to figure out your wedding theme is correlate it with the time of the year you are getting married. The time of year you tie the knot determines colors of the wedding. In the springtime think gardens blooming, lace, the outdoors and fresh. It’s no secret that flowers are at their most beautiful this time of year so consider all those plants that can make your wedding special. Colors tend to be pastels or lighter/muted shades of pinks, purples, greens, blues, yellows or nudes. Surprise your guests with both outstanding colors and the fragrance to match. While spring might be a time for growing new things, summer themed weddings are bright and vibrant. If you love rich colors, a summer wedding might be the perfect time for you to get married. Electric blues, rich purples, bright pinks and vivid oranges are all great colors for summer weddings. Wedding themes that revolve around fun and outdoors are great for summer. Many fall weddings have reds, oranges, yellows, grays and greens that embrace Halloween or the fall harvest. . As the weather is changing and the seasons are moving into a quieter time, so can your wedding memories remind you of how important change is in your own life. Themes with lace, burlap, foliage, and vegetables are great for the fall! Winter is indeed a special time to exchange wedding vows be it during Christmas, on Valentine’s Day or simply by creating your own winter wonderland theme. Since we live in Florida, Georgia or Alabama….we should not expect snow…but your theme can be centered around it. Colors for a winter wedding; blues, reds, greens, neutrals or black. Do smile and have fun, it will give a great first impression! Do greet everyone in friendly manner. Do give a discount for anyone booking or purchasing at the show or extend a discount if they book an appointment with you at the show! Do not sit down at your booth if you can physically help it. Do take breaks one worker at time. We pass out bottle water to all of our vendors but make sure you drink plenty of fluids, you will be doing a lot of talking! Do not leave the show early or start breaking down your booth early. Do not speak negatively of the competition. Do praise your own work. Twenty years after your wedding, all you will have left of your actual day is the memories and your pictures. The Premier Bride only recommends professional wedding photographers that will help brides and grooms capture their precious moments for generations to come. At the bridal expos, brides and grooms will get the opportunity to meet 8-12 wedding photographers at the expo. We carefully select our photographers and make sure that we offer brides and grooms a variety in photography styles, price points for all budgets, experience and packages. You will have the opportunity to meet wedding photographers from Jacksonville, St. Augustine, Amelia Island, Orange Park, Brunswick, St. Simons, Savannah and surrounding areas. Here are some helpful tips to discuss with your photographer! All of these shots will tell the story, especially if you are planning on having a photo album, which we always recommend. CHOOSING THE RIGHT PHOTOGRAPHER: When you get engaged, it is one of the happiest times in your life, and you want to choose a great photographer to capture each and every moment of your big day. When planning your wedding, choosing a photographer should be at the top of the list! And you can easily find your photographer at the expo. At the expo, check out their albums, see if their style is your style, pay attention to how they edit the photos, is it a style that you like? And most importantly, do you like them? You will spend all day with your photographer, they are the only vender that will be with you every step of the way, so make sure you like hanging out with them! Don’t be afraid to ask about pricing! Most photographers can adjust price based on the amount of hours they will be shooting, the number of images/prints, photo albums, second photographers, and many other factors. Gather their information, ask good questions and set up a consultation!